Custom furniture and elegant interior design by the renowned Ethan Allen Furniture Company captures their legendary craftsmanship and livable luxury in each of the 193 rooms and suites. Within each room, you’ll enjoy a range of thoughtful comforts, including complimentary high-speed Wi-Fi, Keurig coffee and tea, iPod docking stations, flat screen televisions with upgrade upscale amenities. Following a workout in the 24-hour fitness center or a swim in the seasonal outdoor pool, reward yourself with a relaxing meal at Fairfields Restaurant, where the award-winning Sunday Brunch has become a Danbury tradition. For onsite meetings, weddings and special events, we offer more than 15,000 square feet complemented by creative event planning and catering teams to ensure a signature gathering. 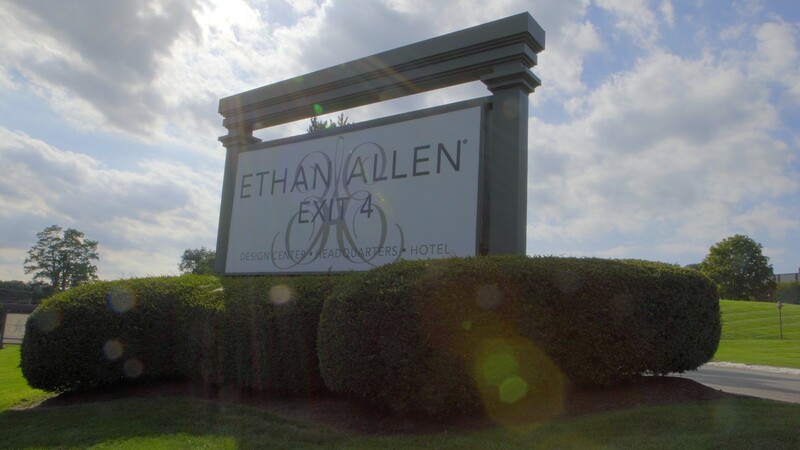 Beautifully designed, artfully crafted and uncompromising in service, the Ethan Allen Hotel infuses the laid-back comfort of home with all the perks of a luxury hotel. The Ridgefield Playhouse is a theater located in Ridgefield, Connecticut with a capacity of 500. It hosts a variety of entertainment events such as the showing of films, plays or musical performances. Visit www.ridgefieldplayhouse.org for the most recent calendar of events. Thunder Ridge doesn’t wait for the first snowfall of the year. We make our own snow over the entire mountain. With their new state of the art snow making system they can cover over 100 acres with beautiful white, soft powder. Thunder Ridge is maintained by tower-mounted and fan snow cannons that work in harmony with our air and water system. Our groomer fleet keeps the snow in super condition for your skiing and snowboarding enjoyment! With 30 different slopes there is enough for the most recent beginner to the most advanced looking for a new adventure. Located in the rolling hills of Patterson, New York, we are just 20 minutes from Danbury, CT.
nguage:EN'>The Ridgefield Playhouse is a theater located in Ridgefield, Connecticut with a capacity of 500. It hosts a variety of entertainment events such as the showing of films, plays or musical performances. Visit www.ridgefieldplayhouse.orgfor the most recent calendar of events. We are teaming up with Lake Quassy Amusement Park this summer! Click the link below and use the code EAH17 to recieve a discount on amusement park tickets. Up the hill from the hotel is the Ethan Allen International Headquarters and Danbury Design Center. Ethan Allen is a Connecticut-based, leading interior design company and manufacturer and retailer of quality home furnishings and one of the most recognized brand names in the industry. Since 1932, Ethan Allen has been devoted to helping its customers create beautiful, comfortable homes. Ethan Allen's product lines encompass both the casual with furnishings to appeal to consumers who want a more relaxed environment and the classic, for those who prefer more traditional homes. Only a mile from the Ethan Allen Hotel, the Danbury Fair Mall has consistently been one of the top shopping centers in the country. Its fine stores include: Macy's, Lord & Taylor, Sears and JC Penney along with nearly 220 specialty stores and an extensive food court. Danbury Fair Mall's trademark carousel is reminiscent of the original fairgrounds ride in Danbury, operating for 112 years. As Danbury's largest lake, Candlewood Lake offers many recreational activities. Danbury Town Park features a lovely beach on Candlewood Lake for picnics, sunning and watching the boats glide across the lake. Located in Danbury near the Ethan Allen campus, WestConn is part of the Connecticut State University System, the largest university system in the state. Please inquire about special rates for visitors, parents and alumni for graduation, orientation and general visits to WCSU. Tarrywile Park, a 722 Acre municipal park, is open to all who live or are visiting the Greater Danbury Area. The park, once an active dairy farm and fruit orchard, is now home to 21 miles of hiking trails, two ponds, a lake, and several picnic areas. Throughout the year, guided hikes are offered by our volunteers. Other programs such as bird watching, camping clinics, and orienteering events are offered. Located in the historic station and rail yard in downtown Danbury, Connecticut, the Museum offers railroad history, rail excursion trips and a collection of original and restored rolling stock. Whether you are a first-time skater or an expert, the Danbury Ice Arena provides guests with a great skating experience. The arena has two full-length ice sheets, an arcade, a concession stand and a fully stocked pro shop with rentals. Discover Connecticut's beautiful vineyards and fine wines. Ten vineyards are joined by the Connecticut Wine Trail, which will take you through some of New England’s most scenic and historic towns. This beautiful 18-hole golf course features a newly renovated layout, putting green and chipping area, plus a full-service pro shop and a casual bar and grill for relaxing after your round. Known as "The Gateway Into The Litchfield Hills," this public course offers an 18-hole, par 71 layout that will challenge players of all skill levels. Amenities include a full pro shop and casual Clubhouse Restaurant. Enjoy a world-class workout at this state-of-the-art fitness club, which is located just a mile from the hotel. "The Best Decision You can Make for your Wedding Day!" "Our Favorite Spot in Danbury!" Our award winning Jazz brunch. Seatings at 11AM - 3PM! Call (203) 744.1776 for reservations!